One or more photo(s) has been virtually staged. BACK ON MARKET! 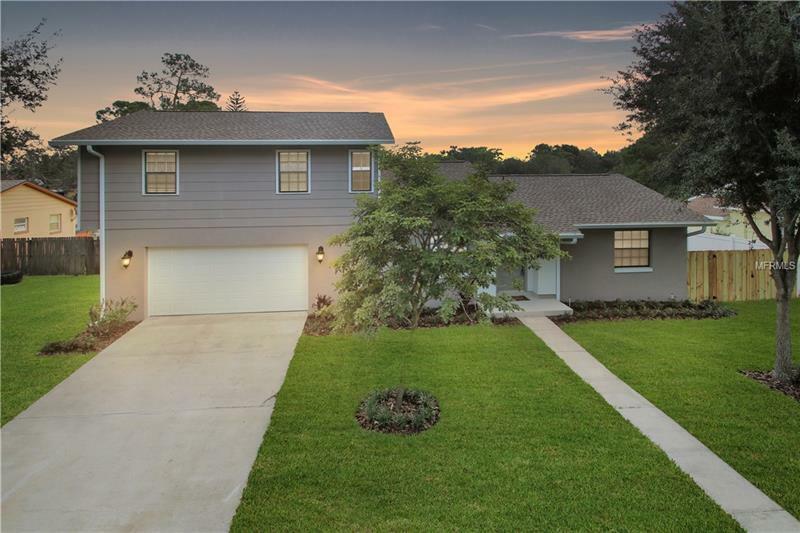 BUYERS FINANCING Beautiful 3 bedroom 2.5 sparkling pool home in Kaywood on almost half acre. Totally remodeled home with 36 inch soft close shaker cabinets with crown molding, tile back-splash, stainless steel appliances, farmhouse sink, range hood, quartz counter tops and fixtures. Beautiful wood look porcelain tile. NEW ROOF, GUTTERS, RESURFACED POOL, HOT WATER HEATER, A/C and ELECTRIC PANEL. Upgraded lighting. Dual sinks in renovated guest bath. Cabinets and utility sink in laundry room. Interior and exterior freshly painted. New outdoor coach lights. Large, private fenced in yard. No rear neighbors! Close to I-4, 417, shopping and restaurants.